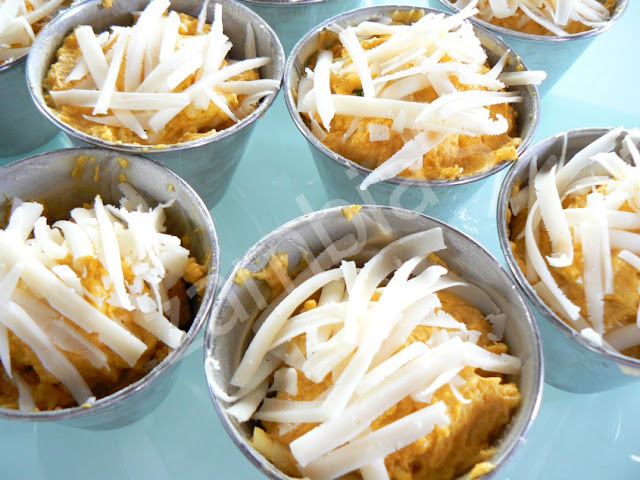 Apart from sweet muffins, that we enjoy in various forms, such as chocolate, coconut, carrots, etc. 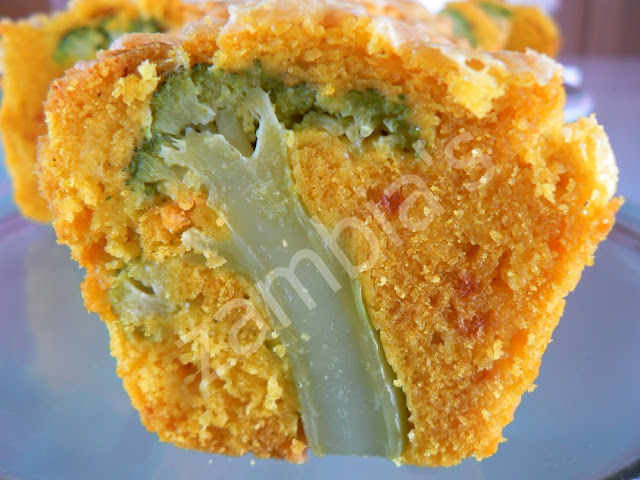 we can taste savory muffins also! 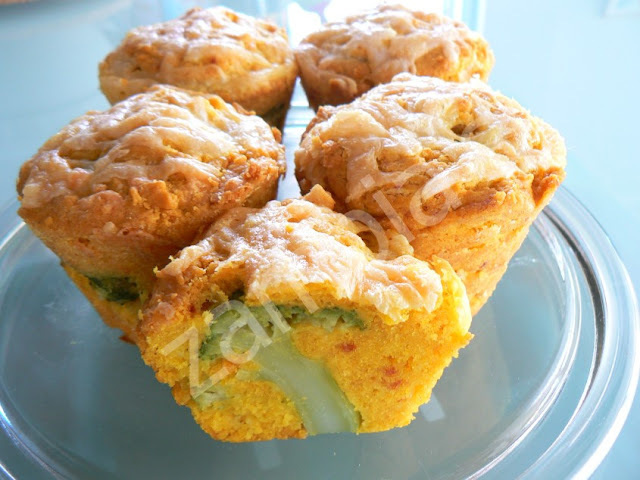 Savory muffins filled with delicious green broccoli and cheese. 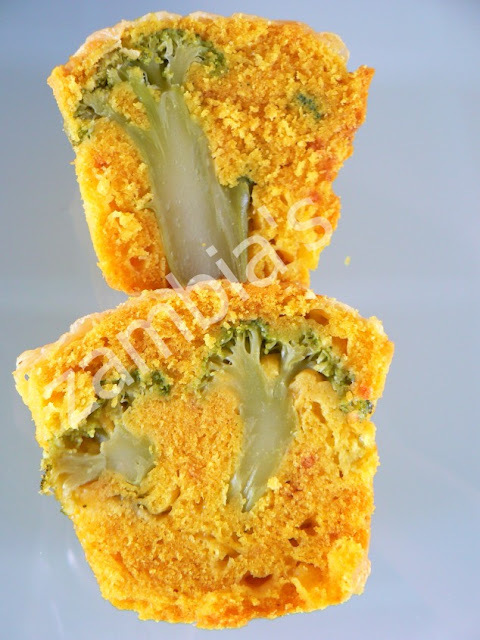 One bite and the palate is filled with a cheesy and fruity taste, with the distinctive bite of paprika. Easy and simple, adorn with their presence, our festive or everyday table. They are impressive and very tasty. 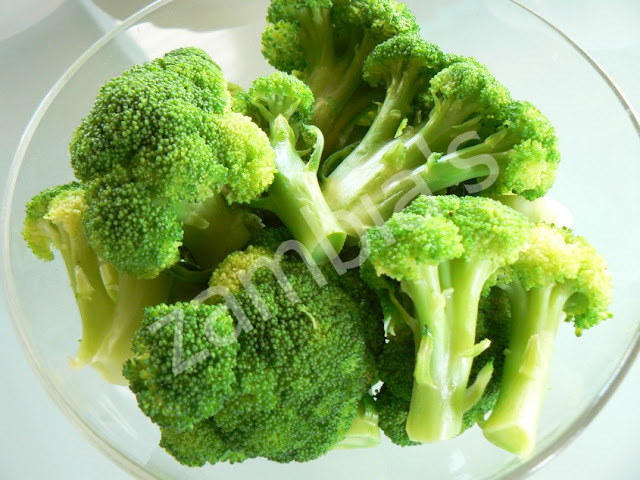 Start by cutting the 12 pieces from a larger broccoli stem, wash and pour in boiling water for 2 - 3 minutes. Prepare the muffin trays spreading butter on them and sprinkling with flour. 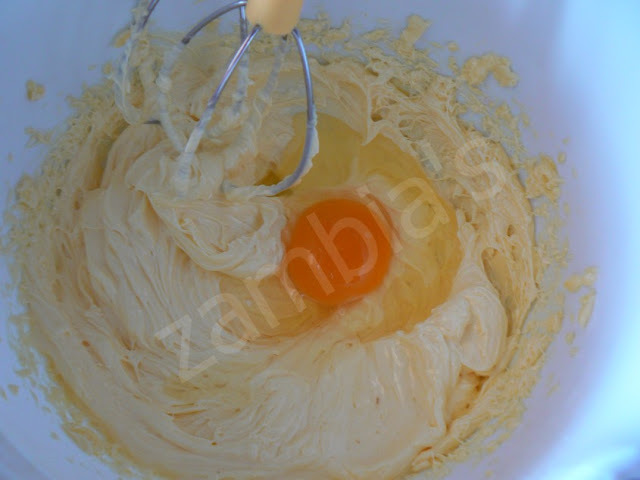 In mixer bowl add the butter, which is at room temperature rather than cold and beat with sugar until fluffy. 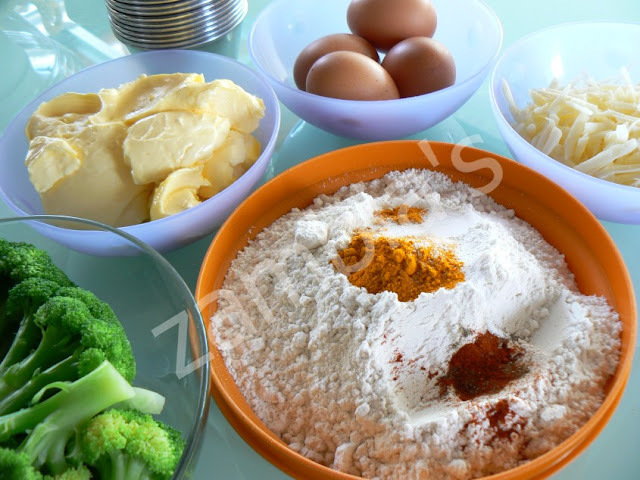 Add the eggs one by one. Wait for the previous egg to be integrated before adding the next one. Sieve the dry ingredients (flour, baking powder, turmeric, paprika, pepper, salt) over the bowl, and mix with a spoon. 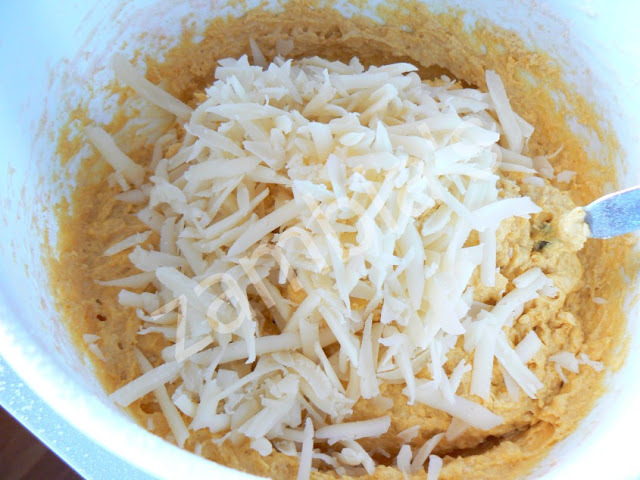 Grate the gruyere in the coarse grater, and add to the mix. 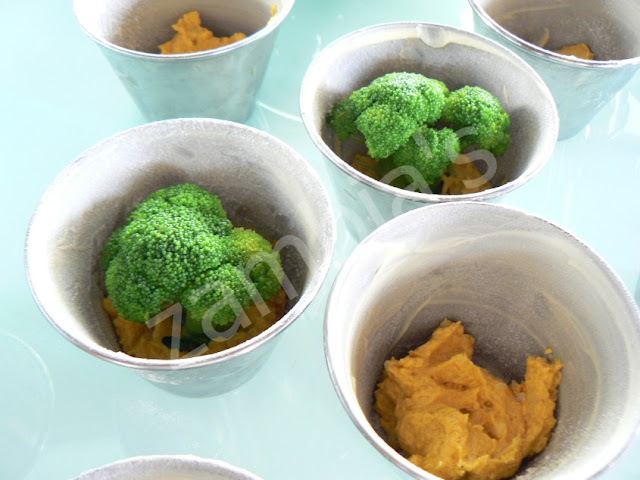 Put a spoonful of the mixture in every tray, set the broccoli piece upright in the tray and fill from the side until the broccoli piece is covered. 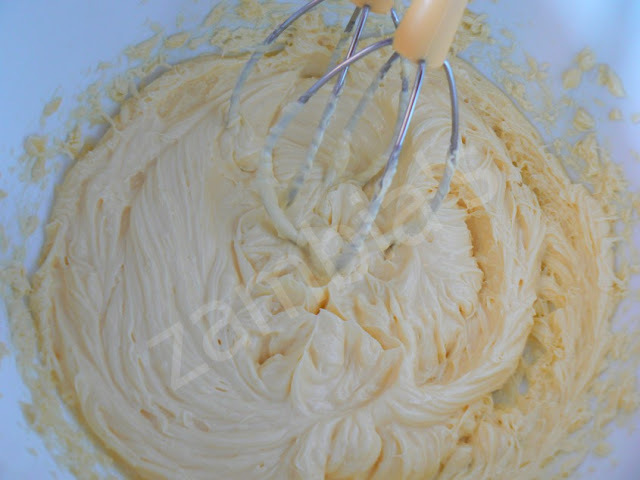 Use a large spoon and a small one to assist, because the mixture is quite thick and does not flow easily. Over each tray add a little more cheese. 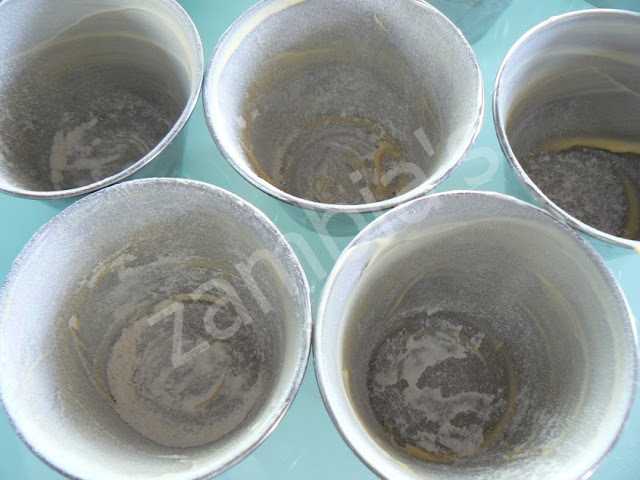 Bake in preheated oven at 180°C/350°F in the bottom rack for 30 - 35 minutes. 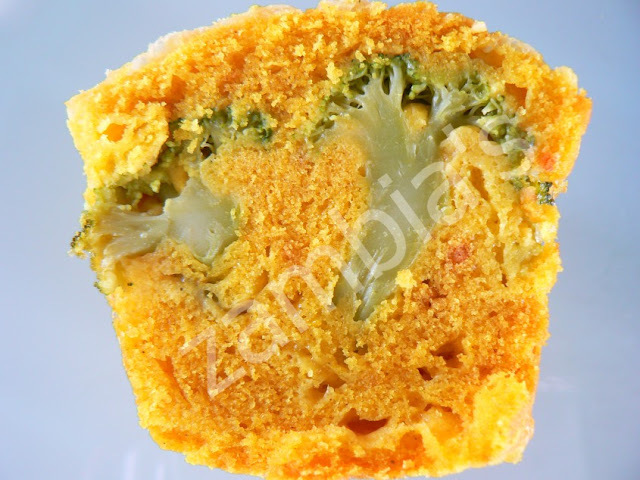 If you like broccoli this proposal will surely excite you. If you plan to serve them on a buffet or a formal table, I would propose to cut them in half. They have a very impressive display and your guests will wonder how you made them.